Pomegranate in Islam is as symbol, it seems, of harvest, wealth, and wellness. The writings of the Quran refer to the fruit in three different instances and each time it gives you the sense that it's talking about a great harvest, land of plenty, and being good stewards of what has been provided. The Islamic people believe in a man called Muhammad. 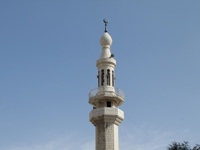 Hadith, a term used in Islam, refers to Muhammed's actions or views, whether positive or negative, in regards to anything done or said while in his presence. Hadith mentions the pomegranate a few times in addition to the references seen in the Quran. One Hadith reference indicates that this fruit and the skin of the fruit are healthy for the stomach, making it stronger. The other mention refers to the fruit as if it's somehow a holy fruit because it is believed by Islamic people to come from the Garden of Jannah. Another Hadith says that if you eat the fruit, you will be cleansed of evil desires and Satan for forty days. A well respected and learned man named Sayyiduna Ali referred to the pomegranate in Islam, saying that "the light of Allah is in the heart of whoever eats pomegranate". His sayings are taught in the religion of Islam still today. Some believe that when this fruit is seen in a dream, it has great symbolism. What does it mean to have a pomegranate in your dreams? It is said that it could mean the following. A dreamer who is in a place of authority – dreaming about this fruit could represent the city over which he governs. A broken fruit means he will conquer the city. Pomegranate in Islam is an integrated part of their culture and belief system. 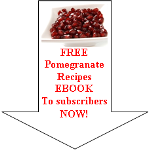 Read enough about pomegranate in Islam and want to discover more about pomegranate in religion and mythology?